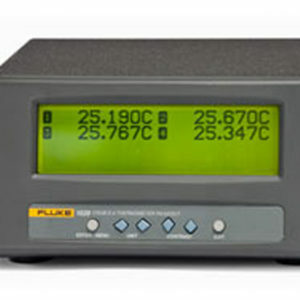 The 1523/24 Reference Thermometers from Fluke Calibration measure, graph, and record PRTs, thermocouples, and thermistors. 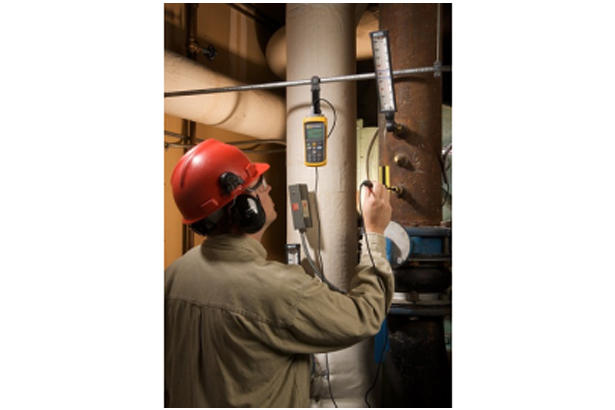 These thermometer readouts deliver exceptional accuracy, wide measurement range, temperature logging, and trending, all in a handheld tool you can take anywhere. The 1523/24 lets you handle field applications, laboratory measurements, and data logging with ease. And with the dual channel measurement capabilities of the model 1524, you can do twice the work in half the time. You need accuracy for compliance, product yields, energy savings, and consistent results. 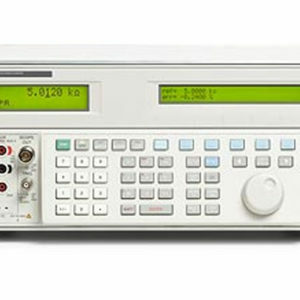 The 1523/24 uses current reversal, a technique used in high-end instruments that eliminates thermal EMFs, for precision temperature measurements. Specifications are guaranteed from -10 ºC to 60 ºC ambient. Special precision resistors and a highly stable reference voltage source keep 1523/24 accuracy virtually insensitive to environmental temperature. 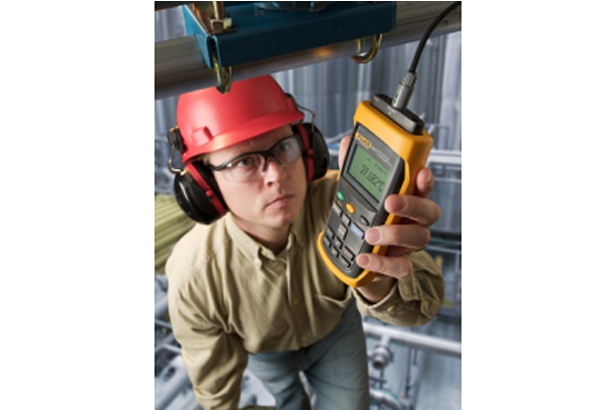 Like all Fluke handheld tools, the 1523/24 Reference Thermometers endure rigorous testing in temperature extremes and under harsh conditions of vibration, so you can take them anywhere you need to go. An optional magnetic hanger allows you to hang the thermometer for easy viewing while freeing your hands to focus on the job. Inside the INFO-CON, a memory chip keeps calibration information for the attached probe. Simply plugging in the probe uploads the information to the readout, ensuring the correct temperature conversion for accurate, hassle-free measurements. 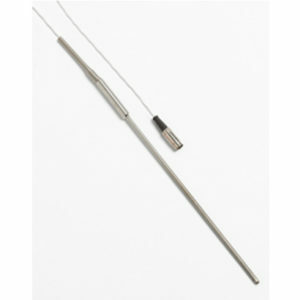 Probes may be locked by password to specific channels and readouts for security or for system calibration traceability. Plug any thermocouple with mini-thermocouple jacks into an optional universal thermocouple adapter for convenient measurement. Each thermocouple adapter or standard connector supports reference junction compensation (RJC) with its own internal precision thermistor. See trends graphically on the 1523/24 thermometer’s 128×64-backlit LCD display. You can change the graph’s resolution at the touch of a button. Now it’s easy to see when the temperature is stable, without statistics or long delays, or monitor processes over time to verify correct operation. Document on demand up to 25 readings and associated statistics for easy retrieval. You can view the data through the display or by uploading it to a PC via RS-232 connection and 9940 software, included free. To monitor and log more data over time, use a PC and optional LogWare II software. RS-232-to-USB adapters are available for those who prefer USB connectors. Battery power lasts at least 20 hours on three AA batteries, or use the dc power adapter for extended periods of measurement. Power saving features can be enabled or disabled for longer battery life or greater convenience. The 1523 Reference Thermometer is a versatile single-channel thermometer that measures, graphs and records three sensor types with one tool. 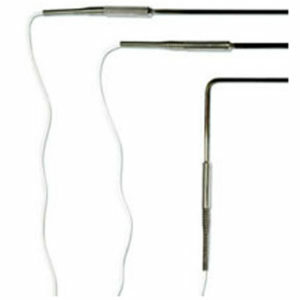 Support for PRTs/RTDs, thermocouples, and thermistors provides flexibility to choose the right probe for the job. 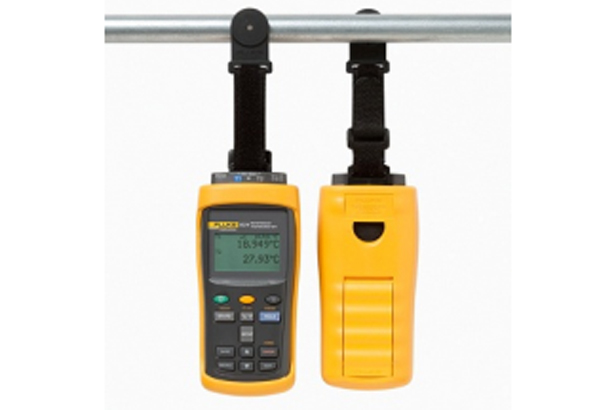 The new 1524 Reference Thermometers help you do twice the work in half the time. Two channels and three sensor types and high-speed measurement make you more productive and make model 1524 the one reference thermometer you need to own. It has all the features of the 1523, and it’s a temperature logger too. A real-time clock and memory for 15,000 time and date stamped measurements mean everything you are going to need is in this package. Log up to three times per second, or once every hour or other options in between. Download the temperature logger data to a PC for analysis when you need it. Calibration, loop checking, plant startup, troubleshooting, maintenance, and repair are some of the varied duties that need a 1523/24 thermometer. 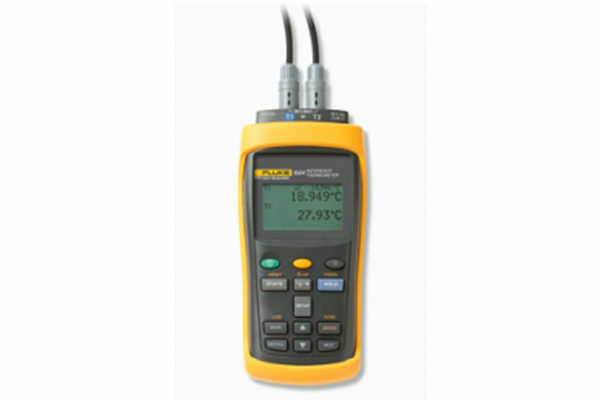 Use it for a handy temperature reference and temperature logger in baths, dry-block calibrators, thermowells, clean rooms, engines, heat exchangers, furnaces, freezers, or anything else that must be calibrated, checked, or maintained.